This article is intended as a supplement to the recent article by David Stephens, ‘Rebooting Anzac for the next century’. That timely article questions the hyperbole and jingoism surrounding Anzac Day and examines those matters in some detail. However, I believe we should broaden our examination of these issues and consider the driving causes and the impacts these have for Australian society as whole. The myth continually raised is that those who have served in the military, particularly in war, have done so to protect and preserve the Australian way of life: ‘I did this for you’ rather than the more honest ‘I did this for me’. The Australian way of life is often described as egalitarian, not based on a class system, and mate looking after mate. If this is, broadly speaking, true then surely the facts and evidence will clearly show that a ‘military’ mate is not seen to be behaving in a self-serving way in seeking benefits for himself or herself by gaining or seeking to gain a material advantage over his or her ‘civilian’ mate. The lens through which I am viewing these matters is one of honesty and ethics. We have fine military traditions like our annual commemoration of Anzac Day which need to be strenuously guarded from erosion, as David Stephens has noted. As well, the misuse of Anzac and military service by persons seeking to gain an unfair advantage for themselves or others should be vigorously rejected. Some benefits, I hasten to add, are benefits which are fair and just but others are unfair and unjust, all the more so when our society is supposedly based on egalitarian values. Let me start with an issue that was quite controversial in the lead-up to this year’s Anzac Day. Certain commercial organisations or enterprises have been pilloried for either using the term ‘Anzac’ without formal approval from the government or for using a form of words that has been seen to be disrespectful. In particular, Woolworths was castigated for using the word ‘Fresh’ in its advertisement supporting Anzac Day and the Anzac tradition. I can see how this could be construed as offensive to some or many. Equally, I am of the view that the government and service organisations cannot really have it both ways. On one hand, they loudly proclaim they are against the commercialisation of Anzac yet, at the same time, they actively encourage all kinds of commercial use of the brand ‘Anzac’, where those service organisations are in some part financial beneficiaries of the commercial activities. As the owners of the term Anzac, together with our New Zealand comrades in arms, the government and the military are entitled to determine who might use the term and under what circumstances, in the same way as a private business can allow others to use names that are owned by that business. However, once the term Anzac has been legally allowed to be used for commercial purposes, and that purpose is generally accepted by the populace, it is a bit rich for people to then carry on about other non-approved organisations damaging the brand Anzac by using it for selling commercial products. The valid argument is, and only is, that the non-approved users have breached copyright or have failed to have gained the approval of the ‘licensing’ body to use the term Anzac. The military is complicit in actively supporting commercial ventures in association with Anzac Day. For example, the AFL game held at the MCG on Anzac Day is proudly ‘opened’ by an ‘honour’ guard comprising uniformed members of the armed services on the ground prior to the start of the game. I may be incorrect but I feel quite sure the majority of patrons attending the game are paying for the privilege and, that being so, it is indeed a commercial money-making enterprise piggy-backing on the Anzac tradition and inferring that by attending you are somehow upholding the traditions of military mateship and loyalty in the service of Queen and country. 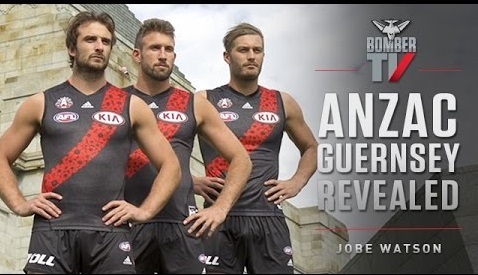 If we want to restore more solemnity and reverence for Anzac Day among our citizens then banning this military display at the MCG would be a good place to start. There is no reason that the Anzac Day game should not be held but there should be no overt display or military presence unless we agree that it is okay to use the Anzac name for commercial benefit. People should be encouraged to attend the Dawn Service, the later services and parades and then enjoy themselves at a first-class game between top AFL teams at the MCG. This would keep the reverence and respect for the day separate from any links and connotations of commercialism. Alternatively, if we are happy to accept commercial use of the word Anzac then we should be honest in recognising this fact on the basis that Defence and service organisations are beneficiaries from the ‘sale’ of the use of the word Anzac to commercial entities. The next area I wish to address is the less than honest – and the unethical – linking of military service with extraordinary claims for benefits. A favourite excuse trotted out regularly by advocates seeking to obtain a benefit for themselves or others at the expense of their fellow Australians is that, because they served in the military or saw active service, they are entitled to a benefit above and beyond others in the community. When challenged, they automatically accuse the other party of disloyalty or that it was the military person who ‘sacrificed’ themselves for those who stayed at home and therefore is entitled to everything on a wish list of extra benefits. People join the military for many and varied reasons and have always done so. It is never for the benefit claimant’s stated reasons of enabling Australians to enjoy the peace and lifestyle of this country nor is it that they were so nobly sacrificing themselves for those remaining at home. Essentially, one is doing it for oneself and not for people one does not know. A recent manifestation of this unethical behaviour has been the push by members of the armed services for an increase in the original pay increase offer from 1.5 per cent a year to the 2 per cent offer. Base rates of pay for all people employed by the Commonwealth, and increases to those base rates, should be essentially identical, where the nature of the duties and responsibilities are broadly the same. A term frequently used during my army days to describe a person who was only out to benefit himself was ‘I’m all right Jack’. 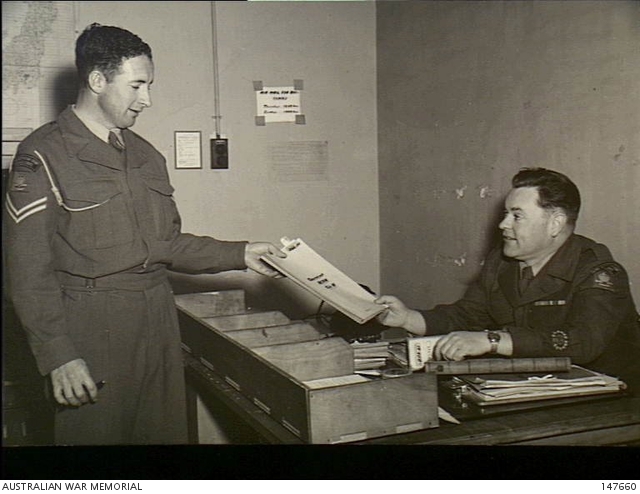 A soldier sitting behind a desk in Canberra doing an identical job to an Australian Public Service employee next to him or her should ethically be paid the same base rate of pay for that work. Where additional tasks or responsibilities or risks form part of a person’s employment then the appropriate way of recognising that is through additional allowances or leave. So when that desk soldier is posted to active service in Iraq doing essentially the same job, of course, his or her allowances should be increased, taking into account the assessed risks of the posting and other disadvantages, such as extended absence from friends and family. What should not change is the base rate of pay, which must be determined according to nature, skills and responsibilities required to competently perform the assigned functions. Another manifestation of ‘I’m all right Jack’ is the outcry against the decision to return service pensions to increases based on CPI rather than Average Weekly Earnings (AWE). APS retirees’ pensions are only indexed on the lower CPI figure, so why should someone, simply because they have served in the military (not necessarily in a war zone) have a better rate of indexation on their pensions? Once again, the only ‘rationale’ advanced is the hoary old chestnut that somehow military service means one has made a better contribution to Australia than any other Australian and therefore one is entitled to a better benefit. Another myth that is being publicly debated is that soldiers have gone to war to defend our right to free speech. Frankly, no-one has gone to war to defend free speech. The second point is that there is no such thing as free speech in this country. Anti-discrimination laws and libel laws mean that people may be criminally prosecuted and/or sued for libel for making public statements that breach these laws. As well, an employer may lawfully dismiss an employee who makes public statements that are deemed to be damaging to the employer. The most recent example was the dismissal of an SBS reporter for tweeting comments publicly that have offended many Australians, particularly those with a connection to our military. Those people who are publicly defending the right to free speech are being disingenuous. What they are actually trying to defend is their right to say anything about anyone at any time without incurring adverse consequences for themselves. I suspect that each of these free speech advocates would be very quick to sue for libel or to dismiss an employee of theirs should a person make public comments about the advocate about which he or she took great offence. * Don Gray spent 12 years in the Army during the Vietnam era, followed by three years in the Army Reserve and 30 years as a Commonwealth public servant. 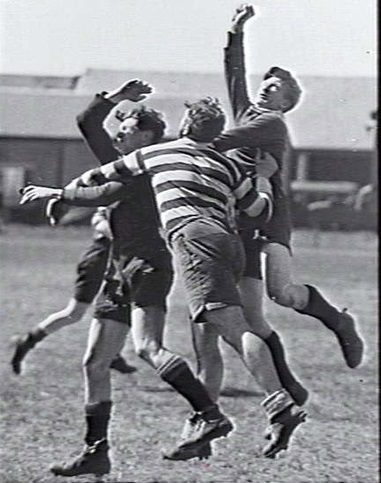 His father, George, served in World War II and was ALP member for the federal seat of Capricornia, 1961-67.